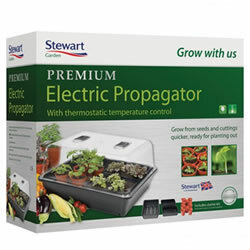 This thermo-controlled propagator creates the perfect environment for germinating a wide variety of vegetable seeds and cuttings. The unit uses a tried and tested method of trapping and regulating heat to keep the internal temperature between 18ºC and 23ºC - ideal for most vegetables. The cover is also crystal clear allowing for plenty of light to get in and help your veggies grow! This electric heated propagator provides the ideal environment for seedlings and cuttings thanks to its sealed heating unit. Gentle heat from the base warms compost evenly stimulating germination and rooting. The built-in thermostat maintains soil temperature between 18ºC and 23ºC. Warm air is trapped under the ridged clear cover to maintain a moist atmosphere, and protect developing plants from draughts and drying out. 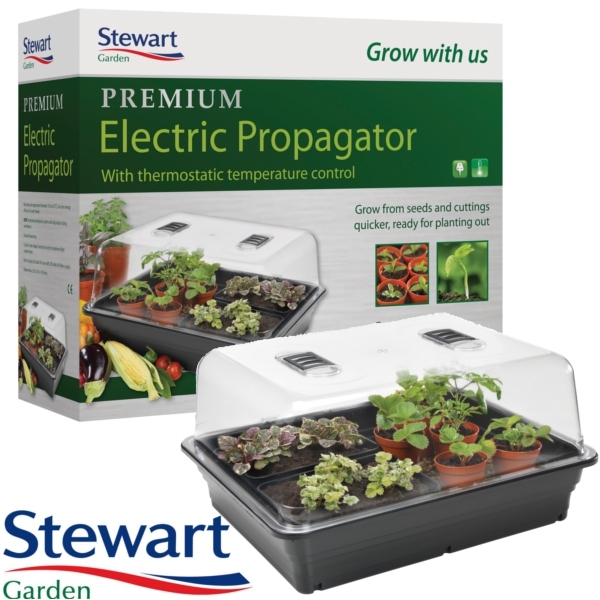 Note: Do not place the progatator where the base or wiring could become wet - This product is not intended for outdoor use (Greenhouses are suitable).